We left Havre de Grace, MD and headed to meet up with our buddy boat, Texas Ranger, to traverse the "C & D Canal" (Chesapeake and Delaware Canal). It's a beautiful day today! In the canal...as always, taking pictures of interesting homes along the way. And other boats, we're seeing all kinds today. We rendezvoused with Texas Ranger at the beginning of the Canal as they stayed another night on the Sassafras rather than going to Havre de Grace. Here they are coming up behind us - they have the same type of boat as we do, but theirs has two engines. 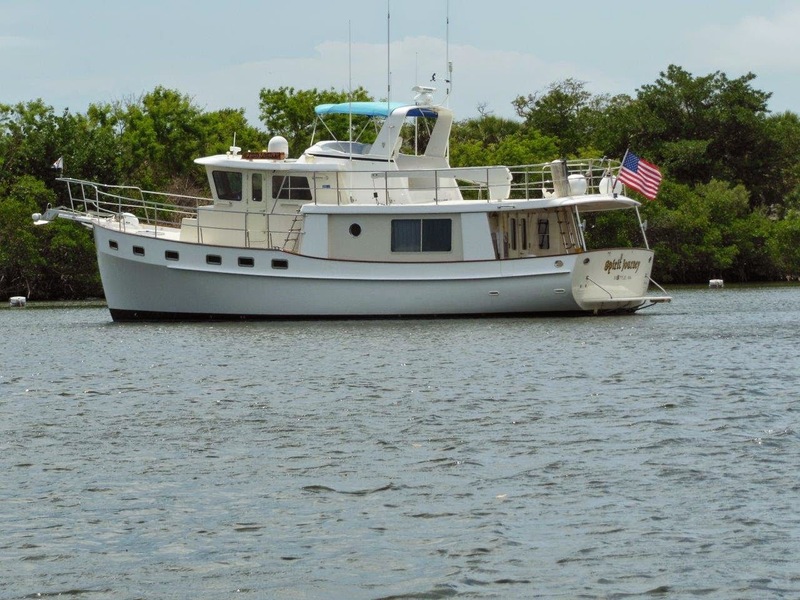 Coming in to our marina for a few nights, Delaware City Marina, just north of the C & D Canal on the Delaware Bay side. This was our marina...all docked in a row. Went to a restaurant tonight where they gave us free "crab ball appetizers" - yummy! Ferry boat to take us out to Pea Patch Island, off Delaware City. 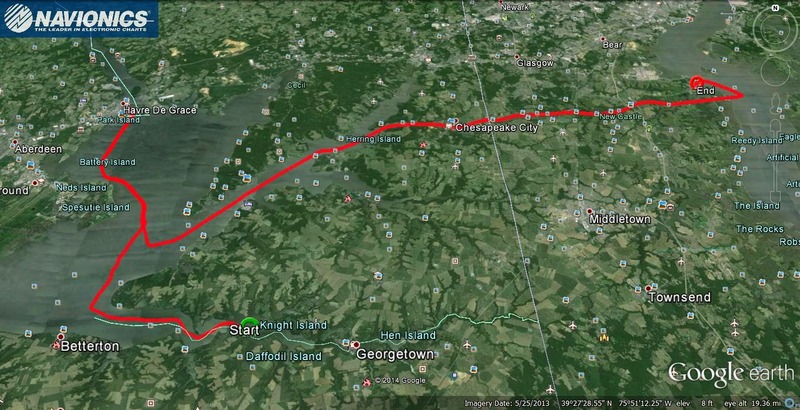 This was our 'path'...we motored from the Sassafras River (shown as the bottom line); northwest to Havre de Grace, MD...then retraced our steps a bit to move eastbound thru the C & D Canal.